Everyone loves the wonderful therapeutic benefits that a deeply relaxing flotation session provides, but many people just cannot face the confined space of a ‘pod’. We solved the problem – Why crawl into a pod when you can step into a beautiful spacious Ocean Float Room? "I just had my Ocean Float Room field evaluation done. 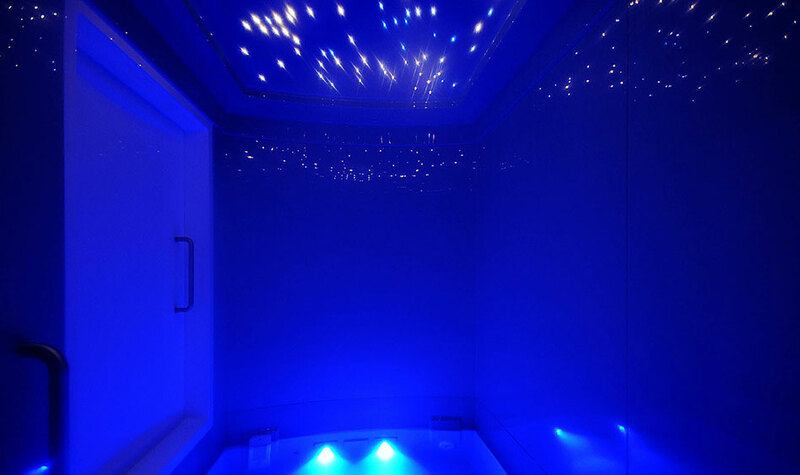 For anyone that has to have this done, you’ll be glad you have an Ocean Float Room. I had my tanks from another company inspected for the 2nd time and they failed again. If they pass on the 3rd visit, I will have spent an additional $2,000 to get my other tanks to where they need to be. They put the UL stamp on my Ocean Float Room 1st time (easy pass!). I spent an additional $0 to get my Ocean Float Room done. Thank you, Ocean Float Rooms, for doing your due diligence with the electronics on your cabins!" "Totally agree, Greg! Our three Ocean Float Rooms passed first time and only took 1.5 hours for the inspection." "We just had our inspection and we passed with no issues." "We have had our 4 King size Ocean float rooms Since October 2017. The filtration system is amazing! We have yet to find one single hair in the water. I personally believe Ocean float rooms are the world's finest. Customer support is exemplary. Chris Koster, Tony parts and the whole crew provide impeccable service. The electronics are incredibly user friendly to alter individual float programs on the fly, if needed. They have a top-notch IT guy with Damon Germano. I can't say enough good things about the whole Ocean Float Rooms Family. They are highly and quickly responsive to be any issues that may arise." 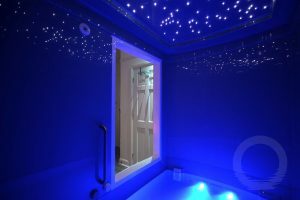 "We have 6 Ocean float rooms, and, in my opinion, float rooms are absolutely crucial and the only choice when opening a float studio now, or in the future. It gives you the edge. Matthew Smith Modern Gravity. Co-founder, Float Collective"
"We are enjoying our third week of trading and are thrilled that we installed OFR. Our customers are blown away by their beauty and feel. Thank you ."